Amazon.com ships over one million orders each day and DESIGNER WHEY protein products will now be accessible to busy people who make their purchasing decisions online, enabling them to live a more healthy, balanced lifestyle. The company’s flagship brand, DESIGNER WHEY, is changing the way America and the world wide web feel about protein. In a landmark sales agreement nutritional industry heavyweight, DESIGNER WHEY® will now sell the company’s #1 Selling Protein products through online retail giant Amazon.com. This agreement will make DESIGNER WHEY’s Gold Medal Winning whey protein products available to Amazon.com’s tens of millions of global customers, and makes it possible for DESIGNER WHEY to expand its distribution. The agreement with Amazon.com includes all DESIGNER WHEY products, in addition to the recently released PROTEIN Blitz? enhanced beverages. 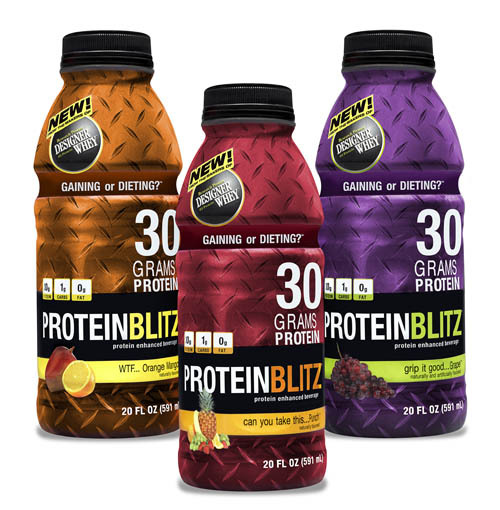 Amazon.com and DesignerWhey.com shoppers can also find the Original and All Natural product lines, such as 12.7oz canisters and 2lb jugs of traditional flavors, and this summer’s popular Protein 2Go, travel size water bottle mixers. David Jenkins, Founder and Chief Executive Officer of DESIGNER WHEY sees this as a landmark move, “Amazon.com ships over one million orders each day and DESIGNER WHEY protein products will now be accessible to busy people who make their purchasing decisions online, enabling them to live a more healthy, balanced lifestyle. The company’s flagship brand, DESIGNER WHEY, is changing the way America and the world wide web feel about protein." Since 1993, NEXT Proteins has pioneered the manufacture of a full line of branded consumer whey-based products, including powders, bars and beverages. 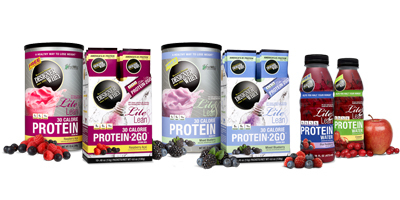 NEXT Proteins manufactures the industry's best selling protein, DESIGNER WHEY, which powers the company's innovative, great tasting products such as DESIGNER WHEY Protein2GO and DESIGNER WHEY protein beverages. Whey protein has been called the ultimate functional food. The revolutionary benefit of DESIGNER WHEY products is the utilization of Whey, a protein-rich liquid component of milk produced as a by-product of the cheese-making process. NEXT Proteins, the maker of DESIGNER WHEY, has spent more than $10.3 million on research to match the perfect blend of nutritional whey protein with great taste. DESIGNER WHEY protein products before and after workouts can help with better strength, better power, better muscle recovery, better health and performance. Media members looking for additional information on DESIGNER WHEY's complete line of protein powders and drinks should visit DESIGNERWHEY.com. You may also learn innovative ways to incorporate protein into current diet plans, meals and discover tasty protein shake recipes. *Based on AC Nielsen sales monitoring for 52 weeks ending Sept 6, 2008, DESIGNER WHEY brand is #1 in Unit Sales for high protein powder in US-FOOD. **The current recommended dietary guidelines and practices in the U.S. support the use of dietary protein at levels above 1.5 g/kg per day or .68g/lb body weight/day (A150 lb woman needs 102 grams of protein per day) during weight loss. - Layman, Donald K., Journal of the American College of Nutrition.